This is a reissue of the ProfiPACK kit (#8097) from 2009 within the simplified Weekend Edition series. 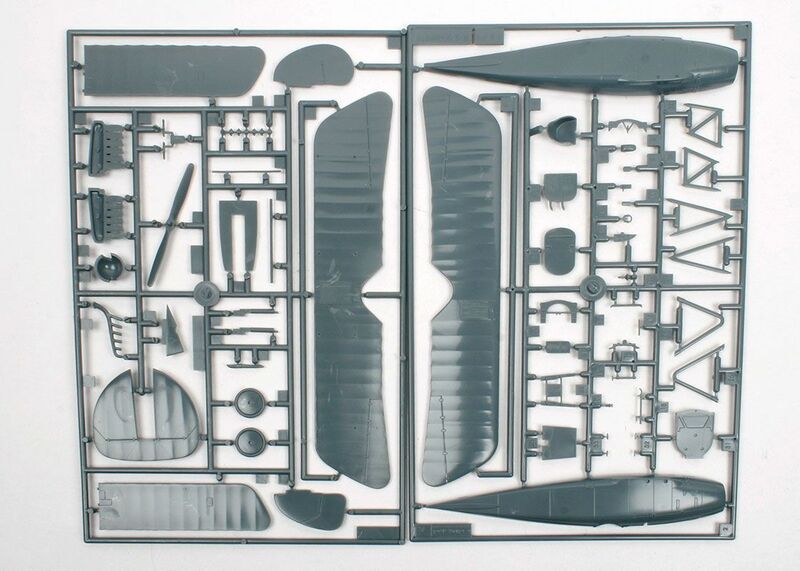 Inside the box you will find two dark grey-coloured plastic sprues, there is no clear, photo-etched fret nor self-adhesive masks. The full-colour instructions take you though assembly with all colours highlighted throughout via the Gunze-Sangyo Mr Aqueous Hobby Color, Mr Color and Mr Metal Color ranges. With no photo-etched things like the instrument cluster and seat belts are supplied as decals. The lack of photo-etched also means that the perforated jackets of the machine-guns are not there, instead you have 'solid' plastic parts. What rigging there is is clearly show in the last stages of the assembly instructions. 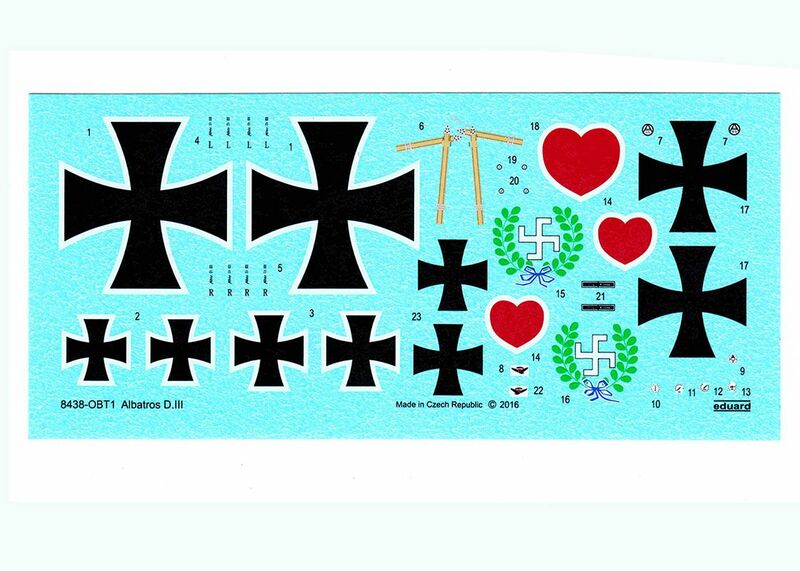 The decal sheet is excellent and has perfect register and colour density. 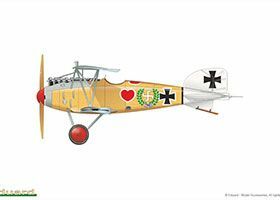 It includes all the unique markings as well as those decals for the instruments and seat belts. As the type does not have lozenge fabric, no additional sheets to depict this is required, thus making the decalling stage a lot less involved. 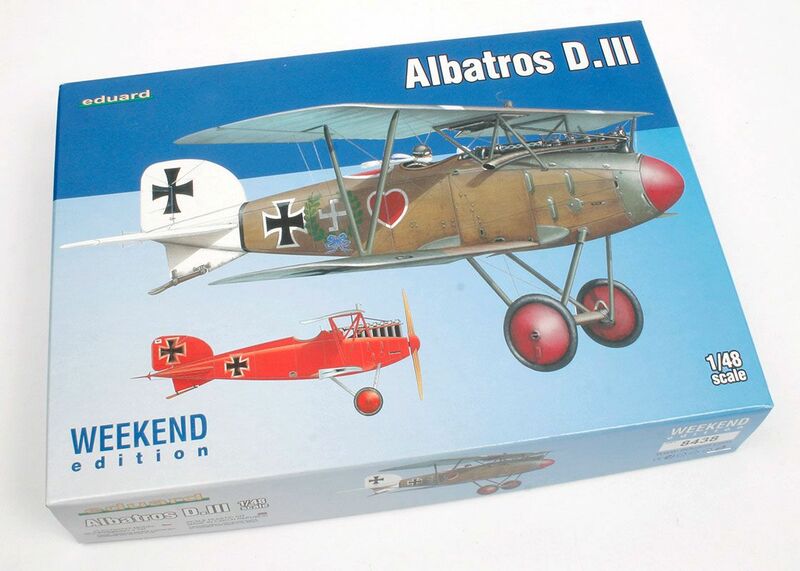 This kit is still the best of the type in this scale and in this series it is neither overly complex nor expensive. 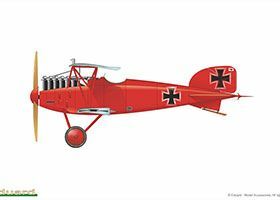 You can added aftermarket accessories to it if you wish, as they are already out there for it, so it is recommended to all WWI modellers.